The home teams star attraction! CF-18A 188720 basking in the early morning sunshine during the pre-Tiger meet open day. 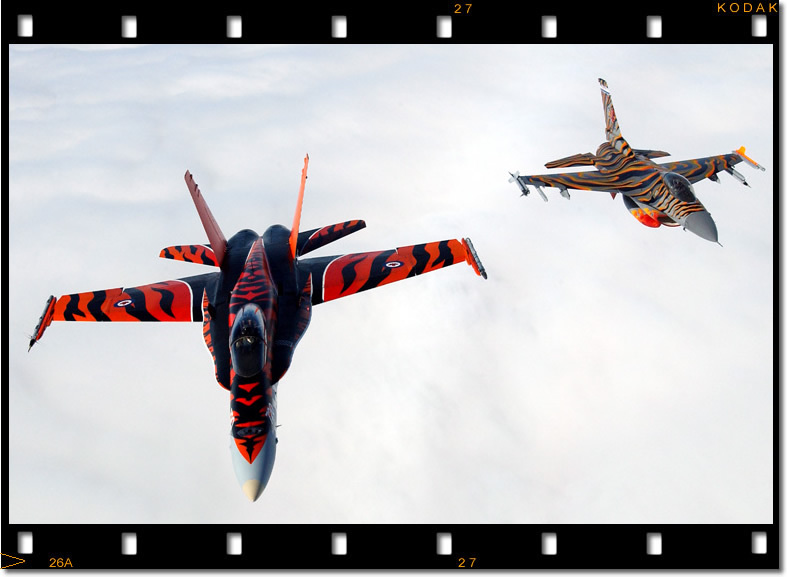 The striking stripes of the Tiger Meet Of The Americas CF-18A flagship. Capt. Travis 'Brass' Brassington, 410 Sqn's 2003 west coast Hornet demo pilot, gets the 'wave off' before performing a very spirited display on the Saturday. Nocturnal Hornet. 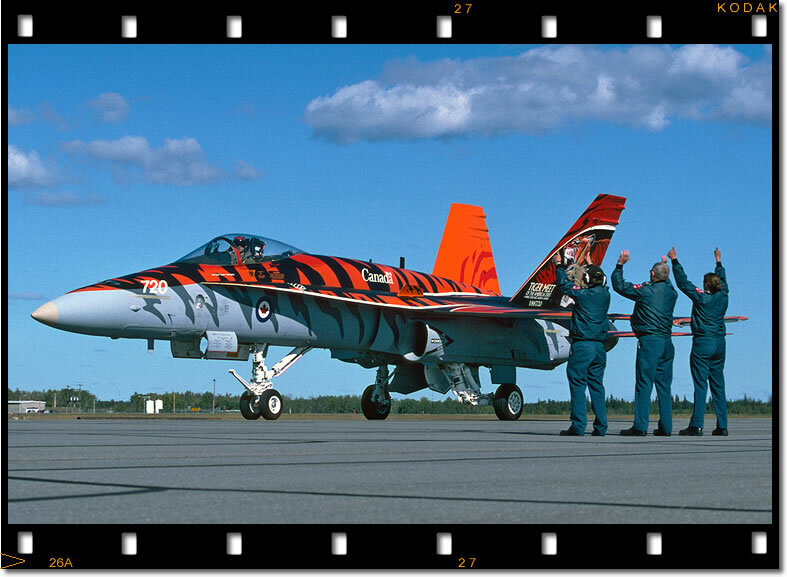 2003 marked the tenth year that a Cold Lake Hornet has received a special paint scheme for the air show season by the artist Jim Belliveau. 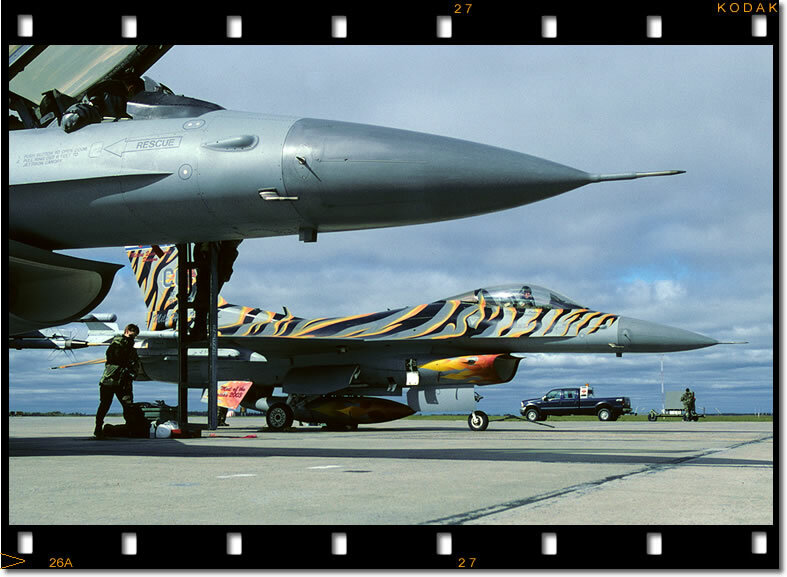 Showing off their stripes, the Colorado ANG and the 410 Sqn. 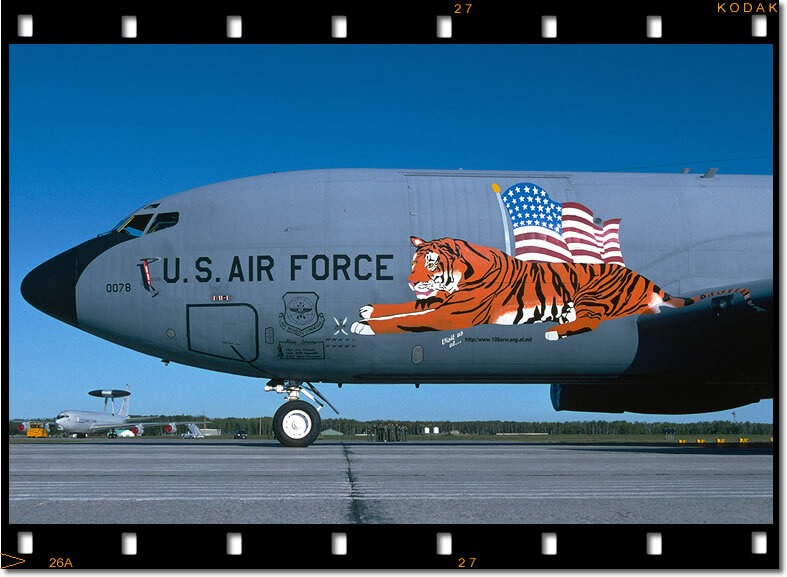 Tiger flagships fly up to the New Jersey ANG KC-135E for a photo pass during a Tiger Meet LFE mission. © SMSgt John Rohrer-CO ANG Ready to pounce! Roll-up, roll-up, get your TMOTA T-shirts, ball caps here, very good, very cheap! Capt. 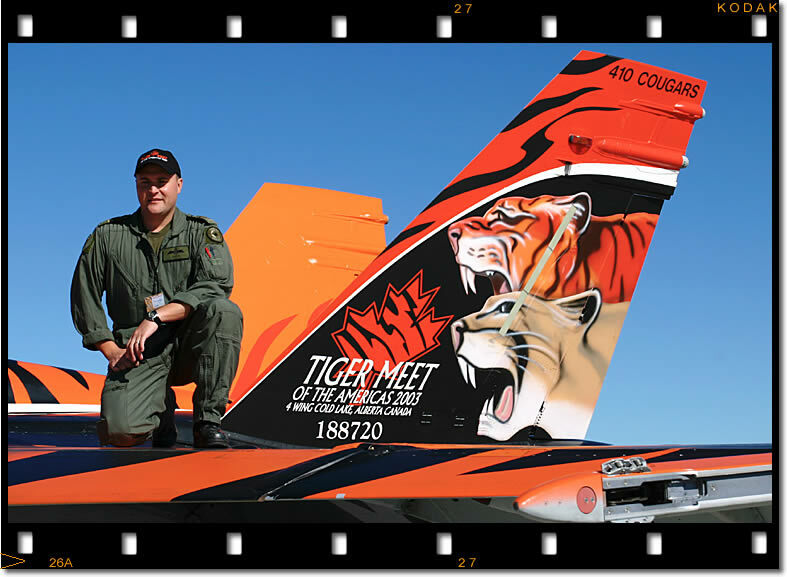 James ‘Buca’ Kettles, 410 TF(OT)S CF-18 Instructor Pilot and overall director for the 2003 Tiger Meet Of The Americas. Cpl. 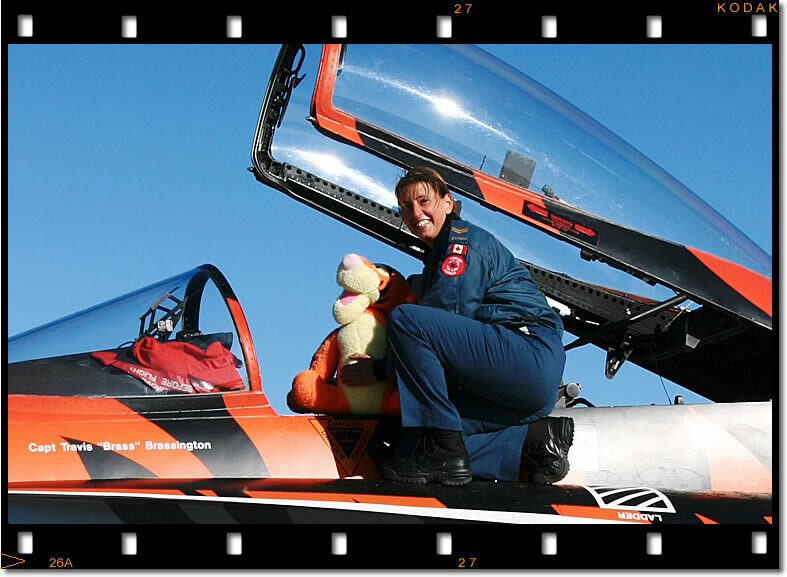 Sonia Vautaur, part of the 2003 410 Sqn. 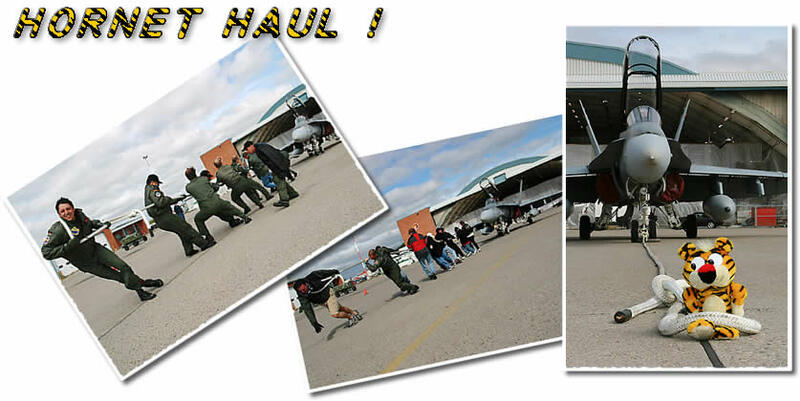 CF-18 demo team with team mascot ‘Tigger’ strike a pose. 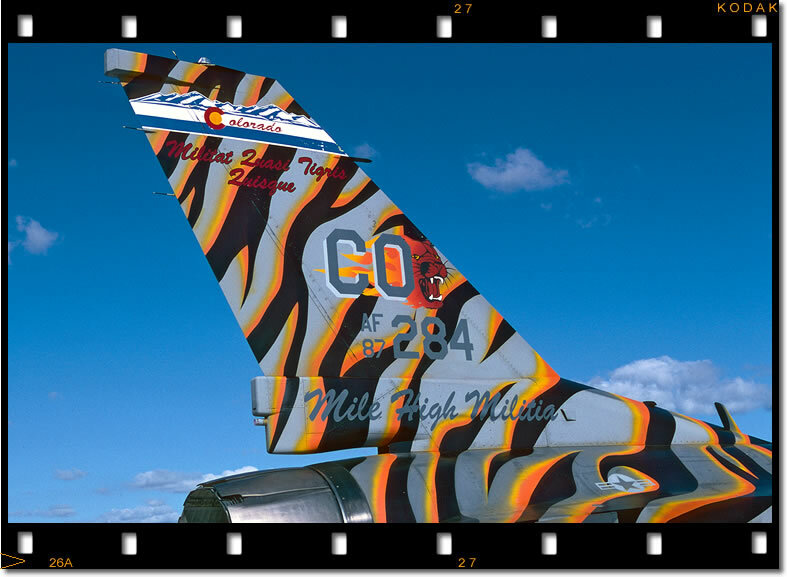 The 120th Fighter Squadron's Tiger (or should that be Cougar?) bird sits pretty on the ramp at Cold Lake during the pre-Tiger meet open day. The 'Cougars' hot rod, 87-0284. the scheme was based on 2001's TMOTA low-viz scheme..with added colour! 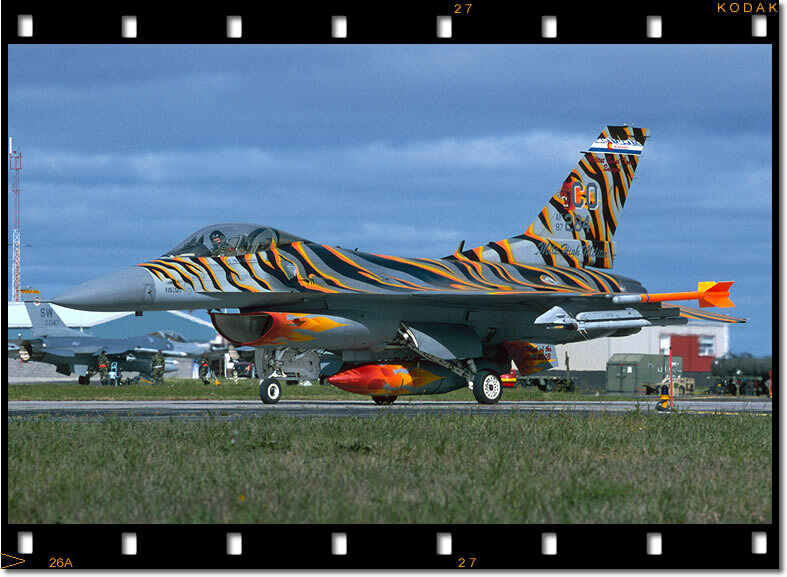 EOS-1N 28-70mm K64 250/F5.6 At the first TMOTA in 2001, the 120th FS went the low-Viz route..In 2003 they splashed out on some colour paint..it was money well spent..they won the 'Best painted Jet' trophy. 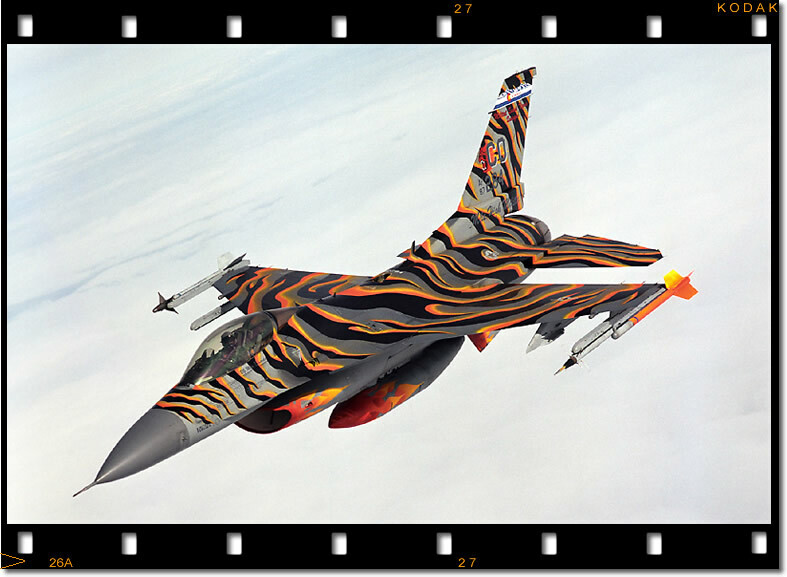 Showing off its stripes, F-16C 87-0284, with Colorado TMOTA team leader 'Juice' at the controls. The TMOTA F-16 teams operated from the AFFTC ramp, setting up shop using the Maple Flag facilities next to the based Hawks of 419 Squadron. 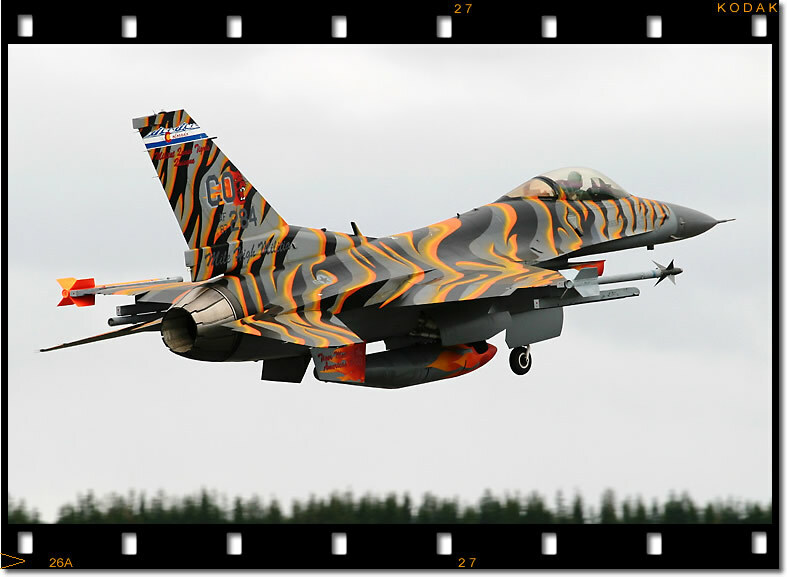 The 120th FS Tiger flagship gets airborne on the first Large Force Employment mission of TMOTA 2003. EOS-10D 70-200mm The stunning Colorado Tiger Viper Taxiing out to the active runway for another Tiger LFE. 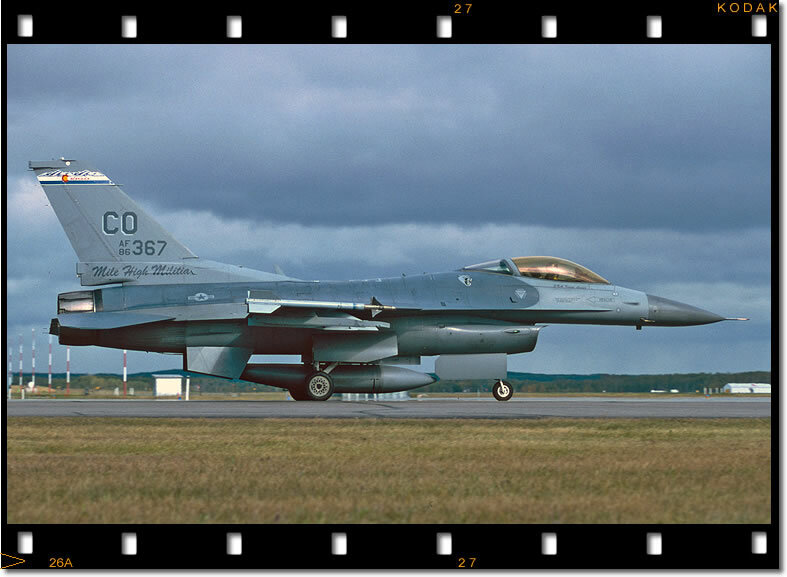 Returning to it's lair after the first mission of TMOTA '03 is one of the 8 F-16C's of the 120th FS, CO ANG that made the long trip north to Cold Lake. The Colorado Cougars hunt for prey over northern Alberta. 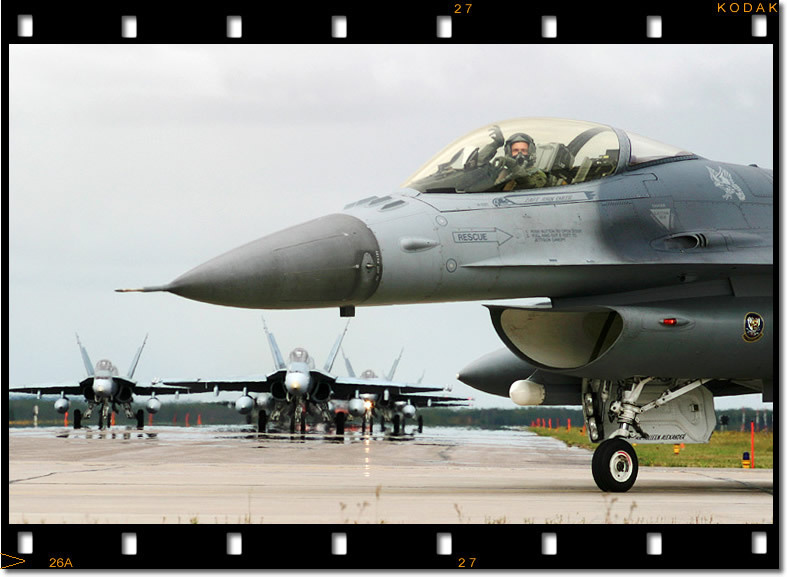 The 120th FS brought eight F-16Cs to the Tiger Meet. A nice view of a 120th FS F-16C sliding into position to refuel over Alberta on day two of the flying program. © SMSgt John Rohrer-CO ANG A couple of Colorado Vipers get there last checks prior to commencing their second LFE mission. 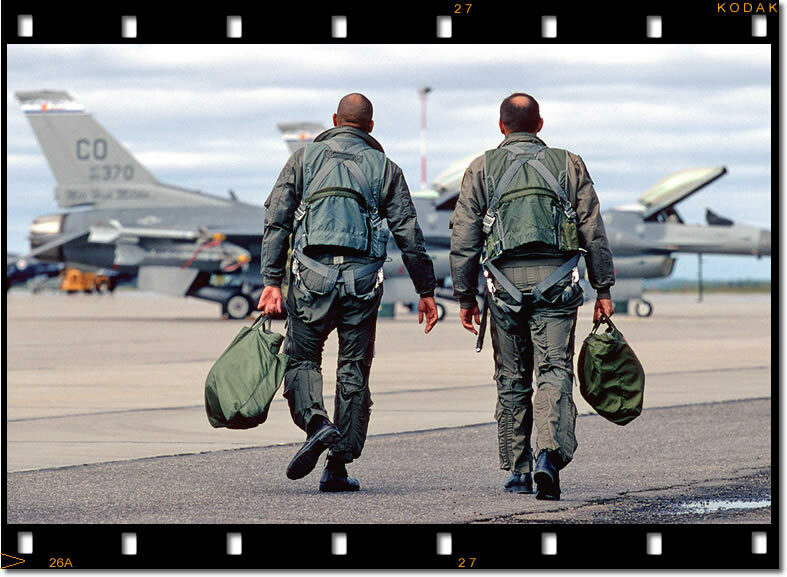 120th FS Pilots step to their jets for the second LFE mission on Tuesday. 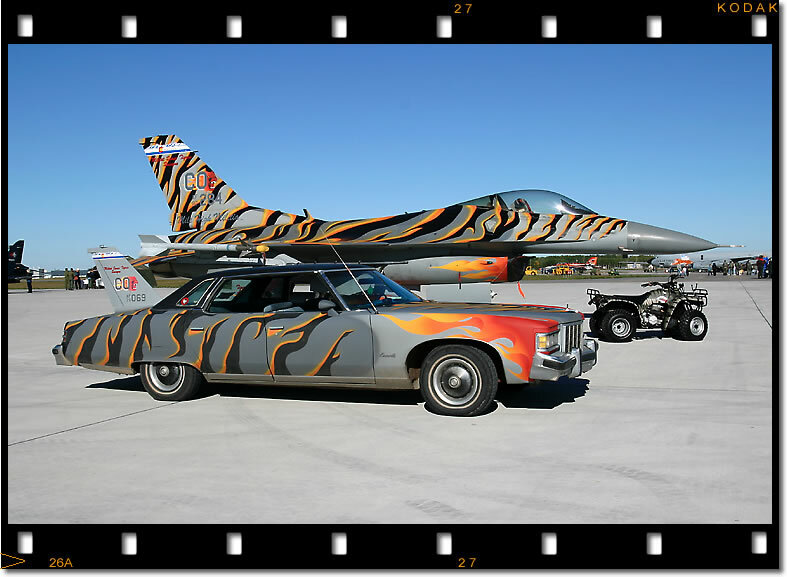 EOS-1V 70-200mm K64 320/F5.6 Apart from putting a great deal of time and effort into the units Tiger flagship Viper, the Colorado Guards paint crew also came up with matching a '76 Buick Bonneville and even a Tiger Quad Bike! 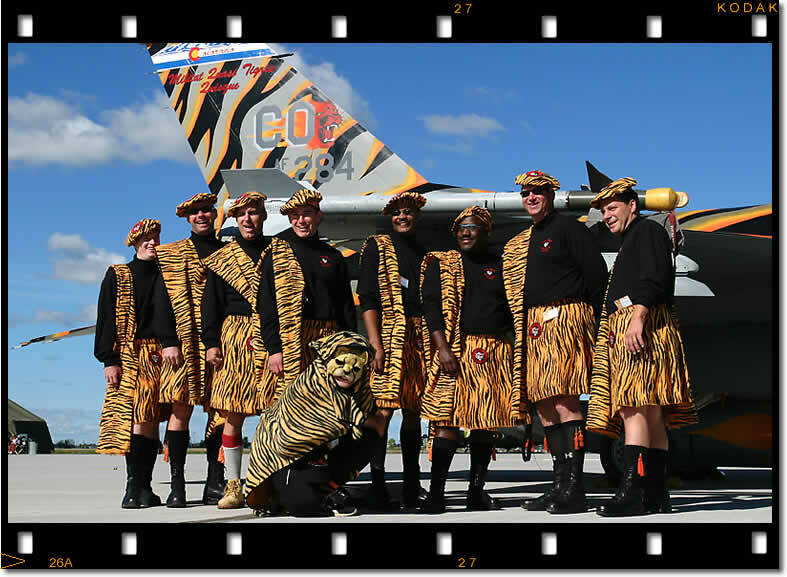 The Colorado Guard’s Ammo crew posing in the latest line of Tiger fashions. Definitely not military issue! 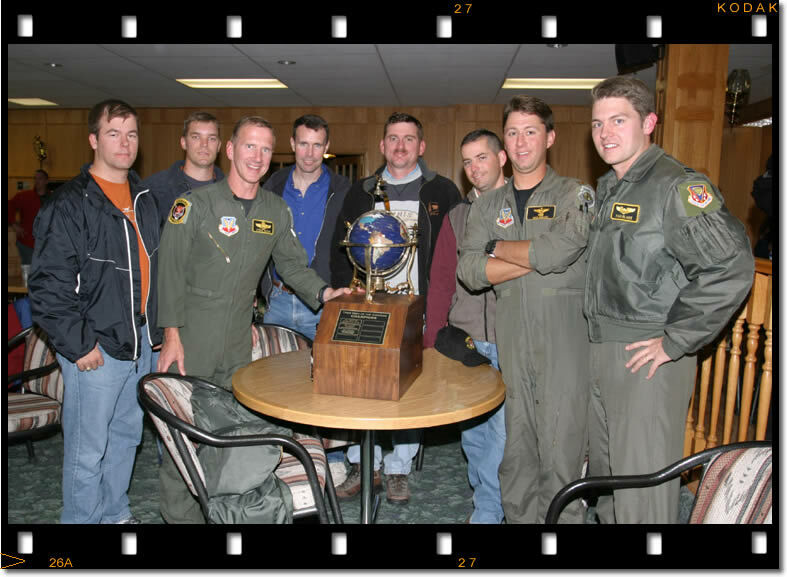 EOS-10D 17-40mm Members of the team responsible for the outstanding Colorado ANG Tiger striped F-16C receive the trophy for best Tiger paint scheme at the conclusion of TMOTA 2003. 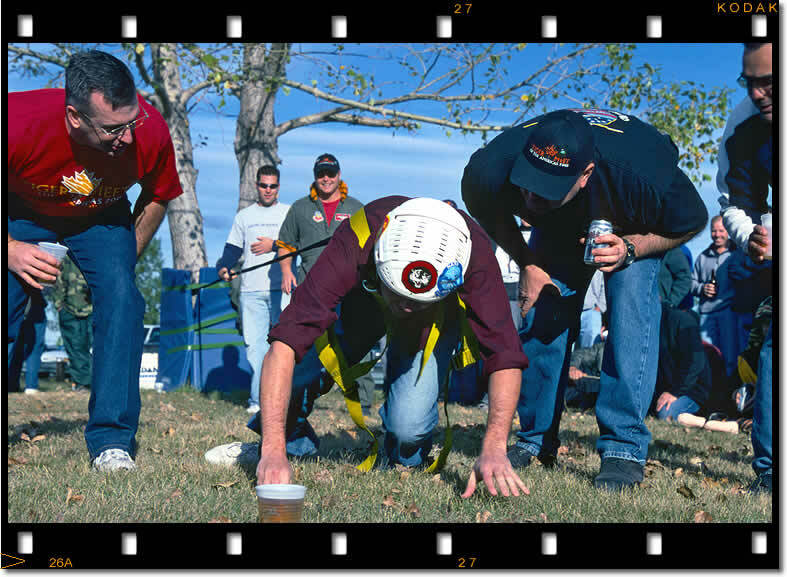 The ‘Beer Bungee’ was one of a number of Tiger games devised to encourage teamwork and camaraderie amongst the Tiger teams. The idea being to reach and drink the beer whilst attached to a bungee cord. Here a 'Cougar' gets the encouragement..
EOS-1V 28-70mm K64 250/F8 Subtle Tiger marks adorn F-15E 90-0236, shot during the small but well laid out open day. 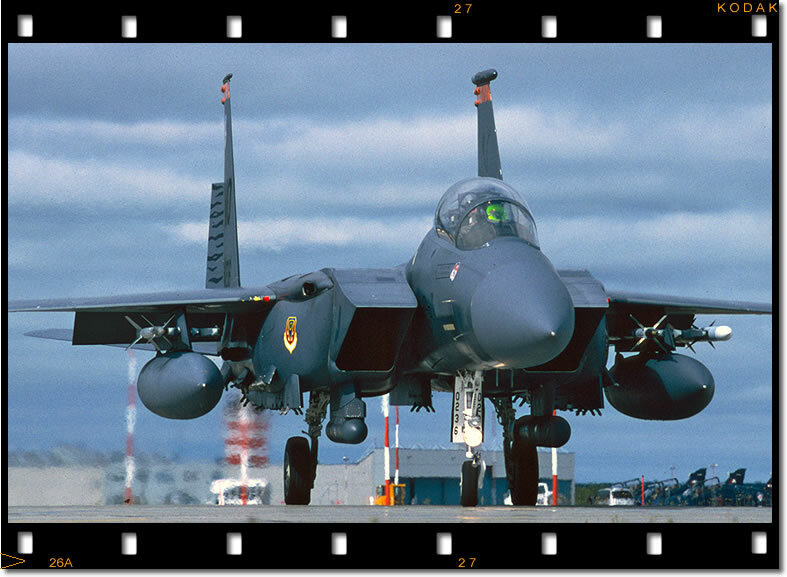 The business end of the impressive F-15E with ‘Bold Tigers’ pilot and WSO ready to do battle with Red Air over Cold Lake. 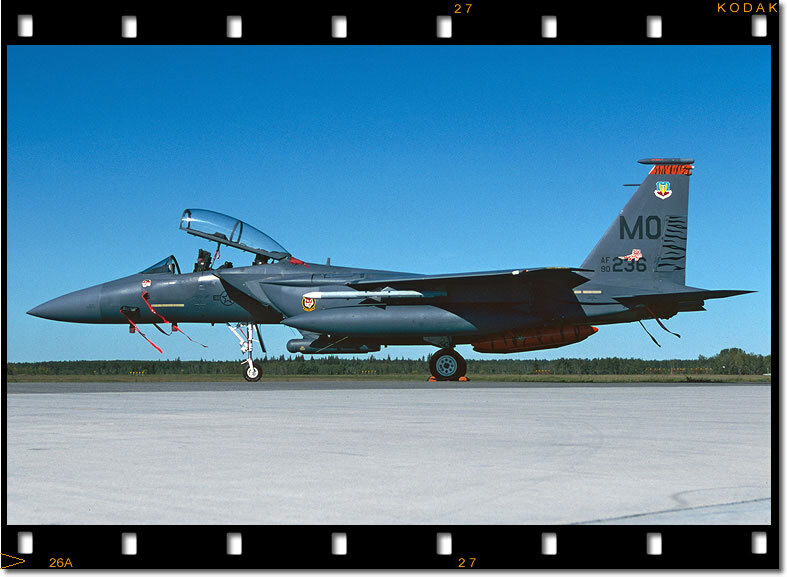 The ‘Bold Tigers’ F-15E flagship wears subtle Tiger markings for 2003. Bigger and better things are expected for when they host TMOTA 2005. 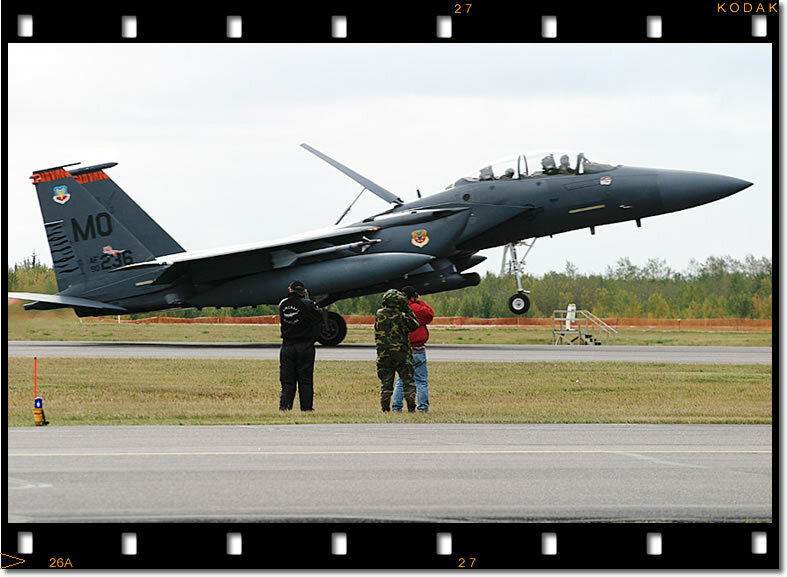 The 'Bold Tigers' brought 4 Strike Eagles to Cold Lake. 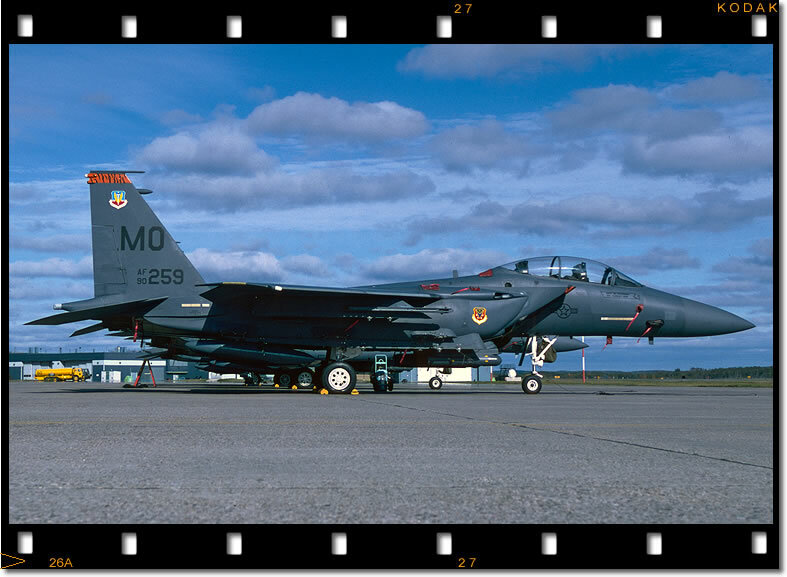 F-15E 90-0259/MO being one of them. 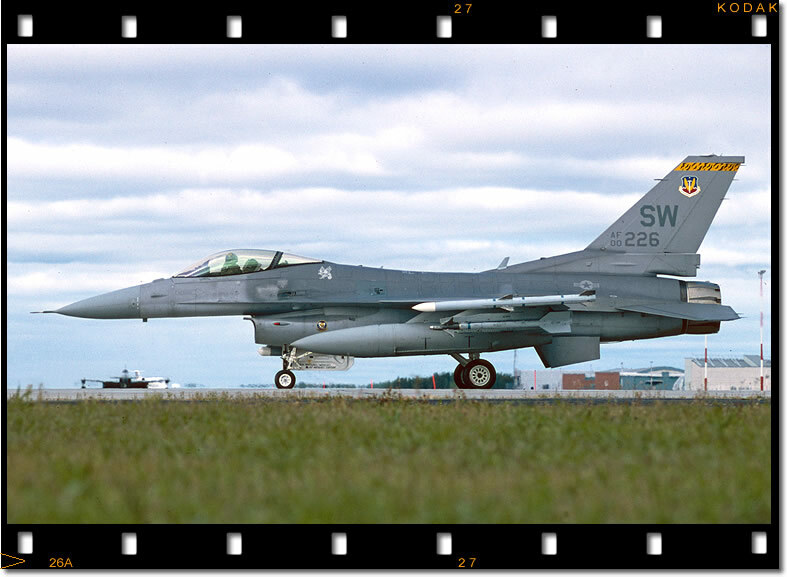 EOS-1V 28-70mm K64 250/F8 The 391st Fighter Squadron's Tiger Ship captured heading for the runway and another mission during TMOTA 2003. 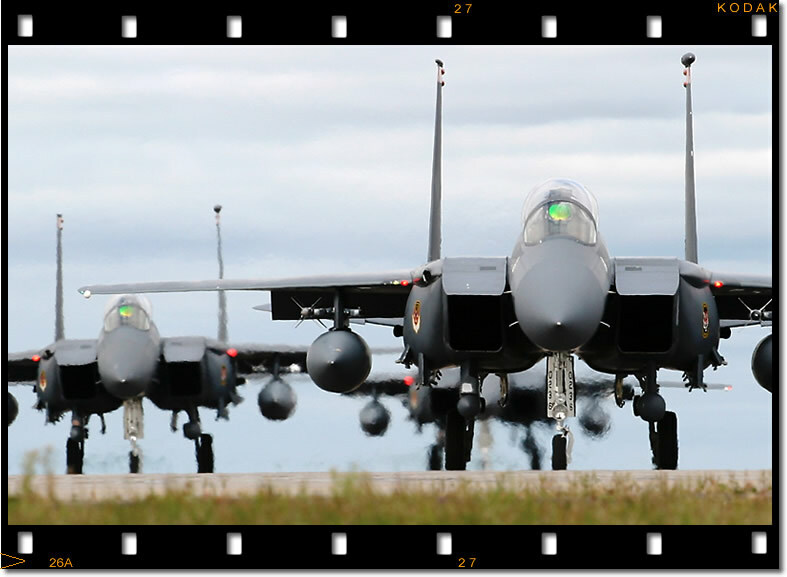 F-15Es from the 391st FS ‘Bold Tigers’, eventual winners of TMOTA 2003, make their way to the runway at the start of another LFE mission. 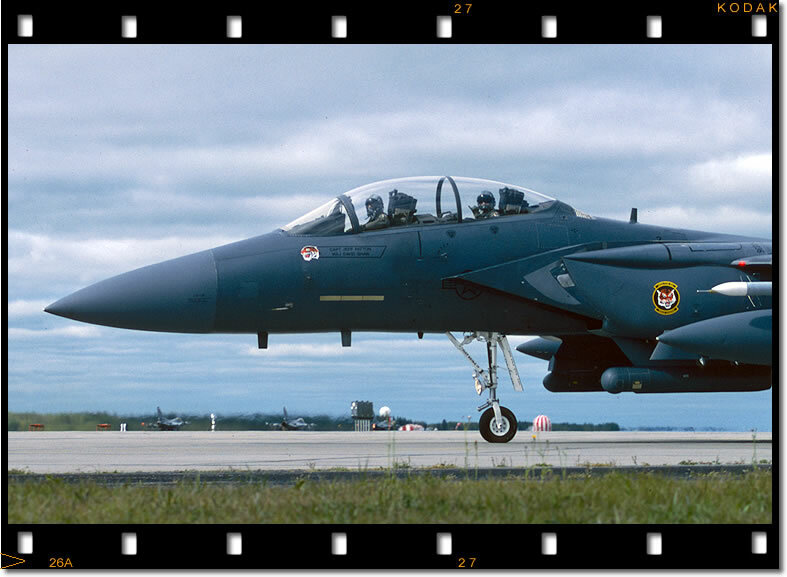 Photographers frame the 391st FS TMOTA flagship as it arrives back from the range at the conclusion of the first Large Force Employment mission. The impressive TMOTA trophy goes to its second home - Mountain Home - for another two years. The Bold Tigers were worthy winners and will be inviting everyone to Idaho in 2005 to compete for 'Best Tiger Team' all over again. 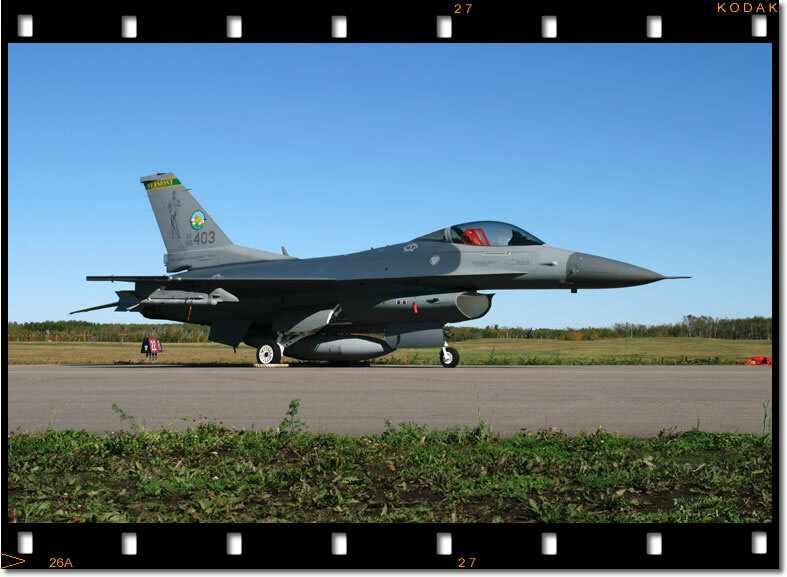 EOS-10D 17-40mm Owners of the newest Vipers at Cold Lake were the 79th FS 'Tigers'. Here 00-0226 taxi's out whilst one of the oldest aircraft present - a T-33A from the AETE - waits it's turn. 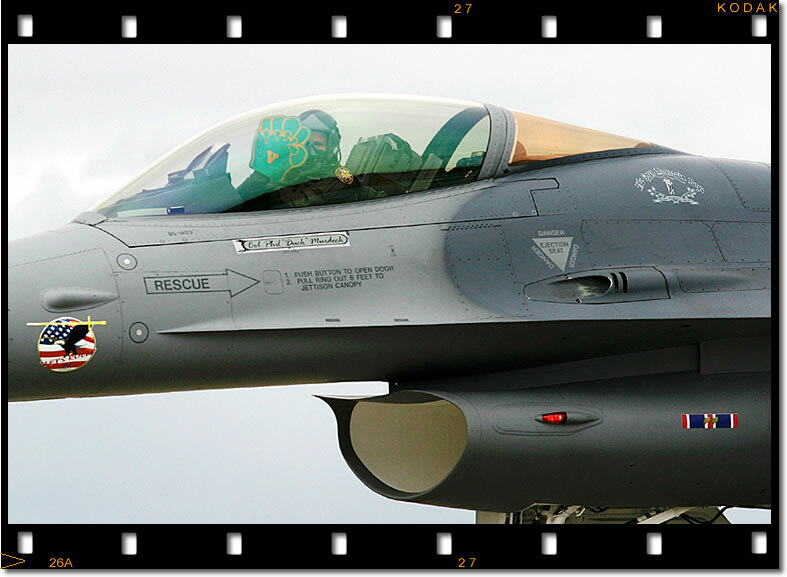 79th FS ‘Tigers’ F-16CJ complete with the squadron co’s travel pod ready for the journey home to Shaw AFB at the conclusion of TMOTA 2003. With the flying over the final day of TMOTA was given over to the notorious Tiger Games. 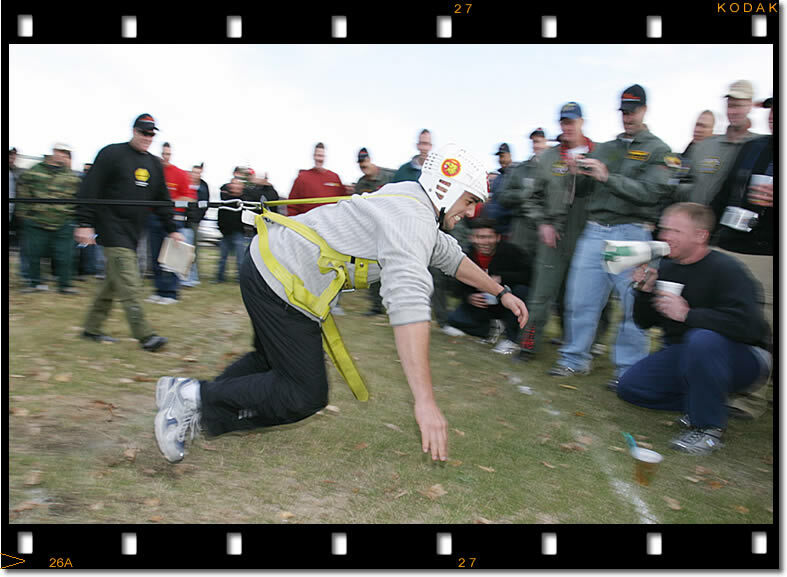 Although played for laughs, the Beer-Bungee was still a hard fought competition, won eventually by the NATO AWACS team. 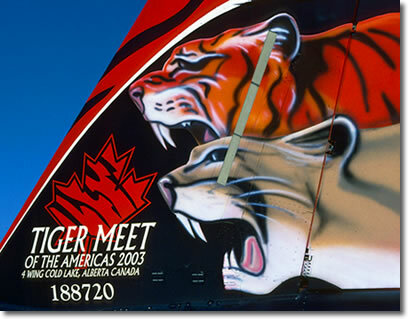 Following TMOTA 2001 the Vermont ANGs 134thFS 'Catamounts' were definitely in the Tiger club, it was good to see they still had the Tiger spirit at Cold Lake, again bringing two jets with them. 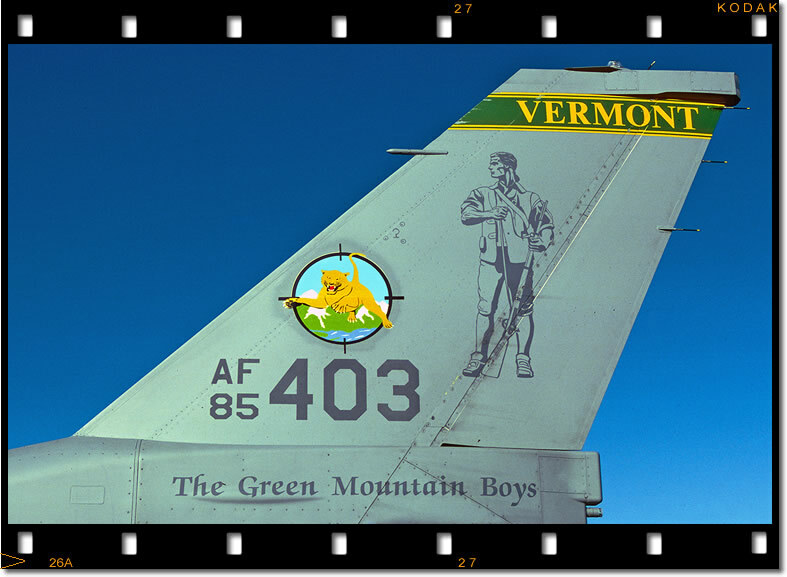 EOS-10D 17-40mm The Catamounts badge was a small but welcome addition to the Vermont Guard F-16s. A more ambitious design was rejected for the tail but it is hoped that 2005 will bring a bolder design. The Green Mountain Claw! Making a return appearance at the Tiger Meet was the green foam claw belonging to the Catamounts. 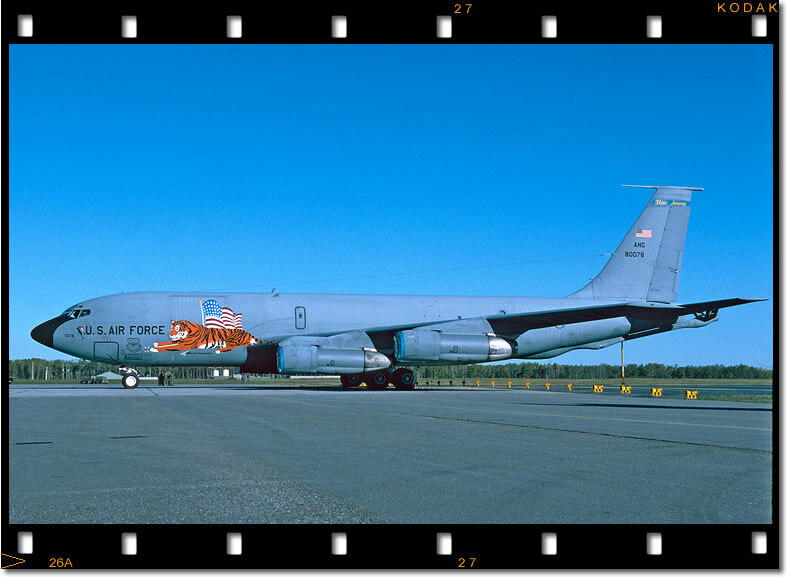 EOS-10D 70-200mm The 141st ARS didn't disappoint ...bringing KC-135E 58-0078 with a very large Tiger on the side. 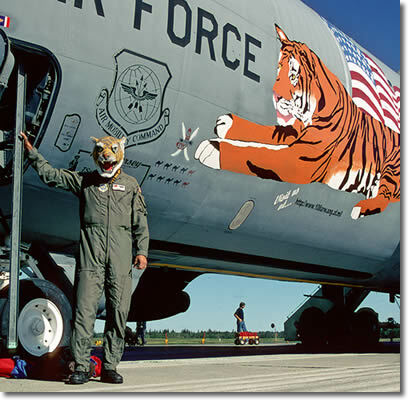 The 141st ARS, New Jersey ANG have a tradition of painting a large tiger on their KC-135 for Tiger Meet’s. This is the latest incarnation. 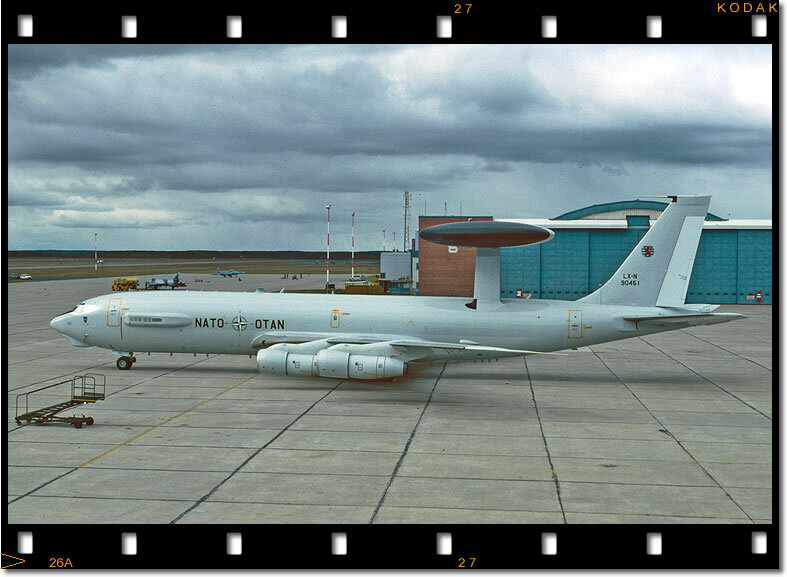 EOS-1V 28-70mm K64 250/F8 Honours for traveling the farthest to TMOTA goes to the 1st Flying Squadron's E-3A AWACS. 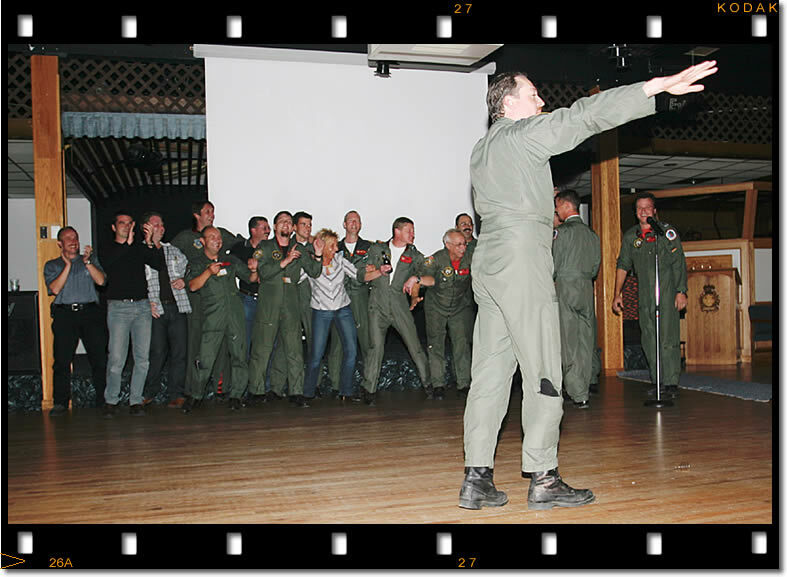 The NATO E-3 team of the 1st Flying Squadron debrief after a mission (Correction!, the NATO AWACS crew partake in the Karaoke competition) Come to think of it, either of the above would apply! 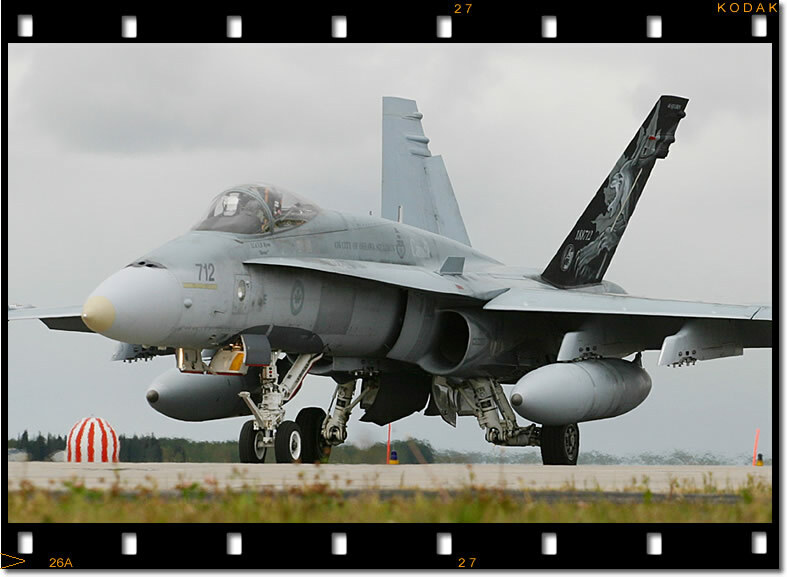 All 4Wing CF-18 squadrons participated in the LFE missions, 441 TFS were guest participants and flew as opposing Red-Air fighters. Here, their flagship 'Checkerboard' CF-18A is seen in a rare burst of sunlight. The TMOTA gave visiting pilots the chance to experience the capabilities of different aircraft types at first hand. 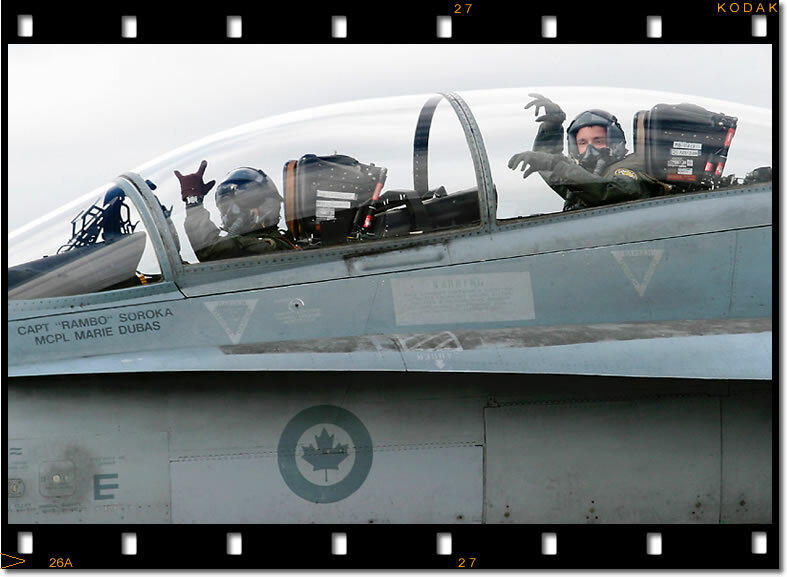 In this instance, a 79th FS ‘Tigers’ F-16CJ pilot gets a backseat ride in a CF-18B during one of the Tiger Meet missions. EOS-10D 70-200mm CF-18A 188712 of 416 (Lynx) Squadron was a guest participant of TMOTA 2003. 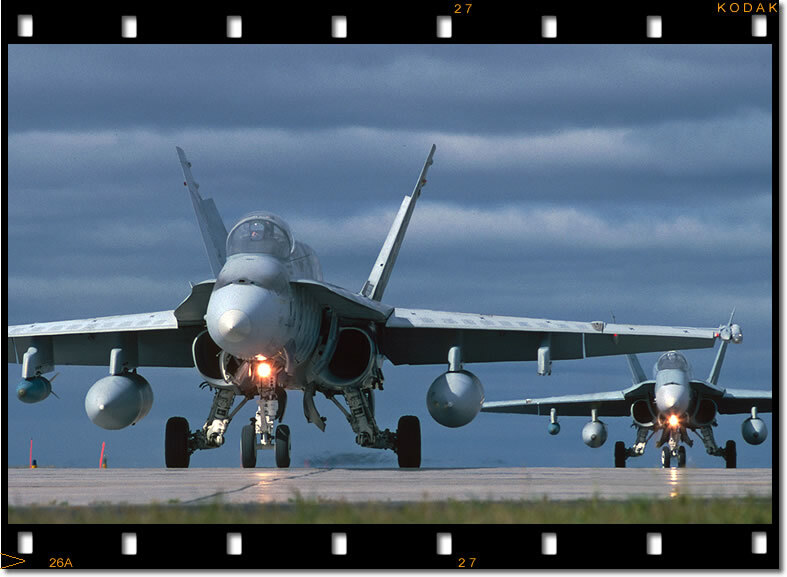 Caught in some rare but much appreciated Canadian sunshine, two Hornets from 441 Sqn 'Silver Fox' head for the runway. EOS-1V 70-200mm K64 250/F8 417 CSS CH-146 Griffon 146415, borrowed by the 439 CSS for the Tiger Meet. The Tiger CH-146 Griffon of 439 Combat Support Squadron flies the unit’s flag past the Cold Lake control tower. 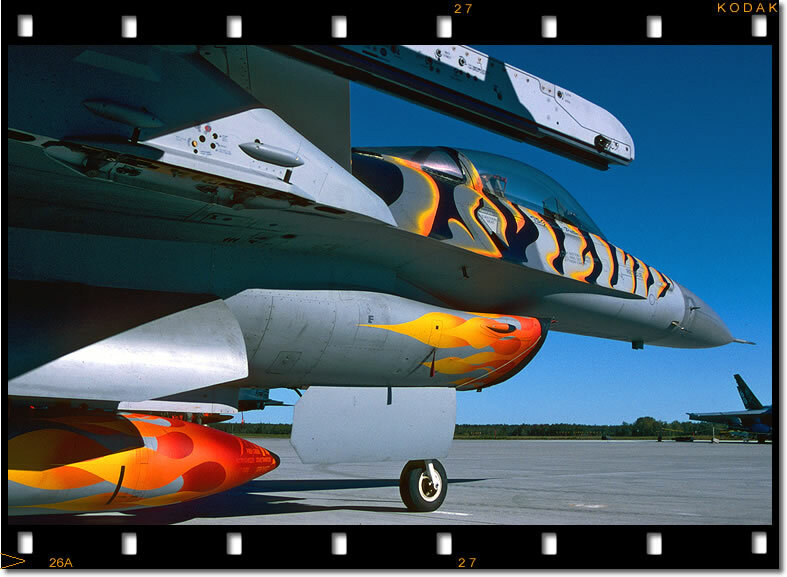 When the Sharpshooter team covered the inaugural Tiger Meet Of The Americas in 2001 we witnessed a new exercise and a new concept in North America. 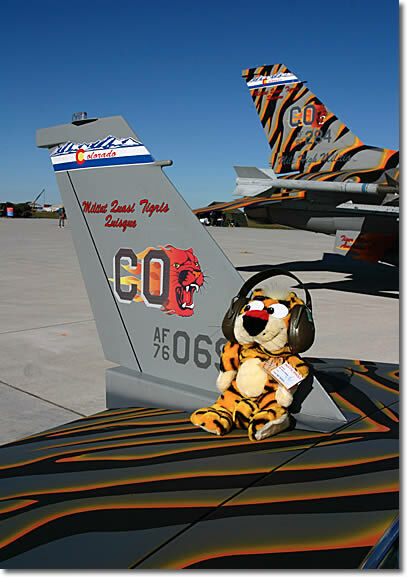 Although well established, the annual European NATO Tiger Meet is still a mystery to many people outside of Europe and NATO. 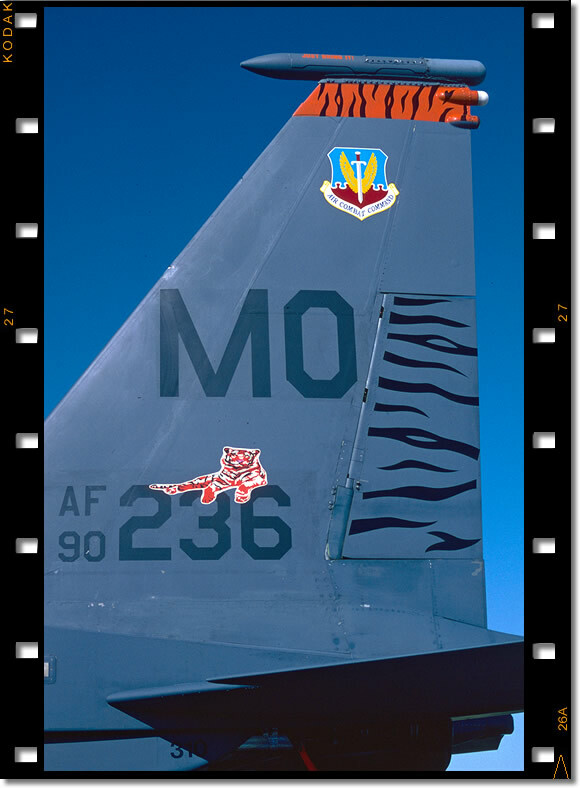 We were fortunate to have almost exclusive access to the Colorado ANG’s organization and execution of TMOTA 01 and our words and images have hopefully informed a wider audience through this and other web sites as well as aviation publications. Being witness to the ‘birth’ of the TMOTA, we wanted to continue our association and lend our support. 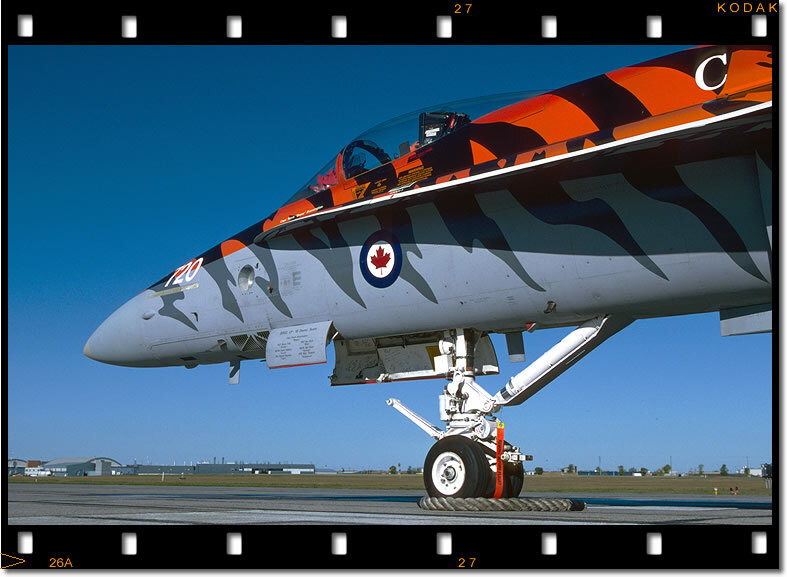 So it was on September 11th 2003 we packed our photo gear and boarded a plane for Alberta, tracking the paw prints all the way up to 4Wing Cold Lake, Canada’s largest fighter base and home to the TMOTA 2003 host unit, 410 ‘Cougar’ Squadron. Buca sent invitations to every unit in North America with a big cat association a year before: “It started out that 410 Squadron was going to handle everything, then it started getting a little bigger so I asked 4Wing if they could help us out and it has turned out great. 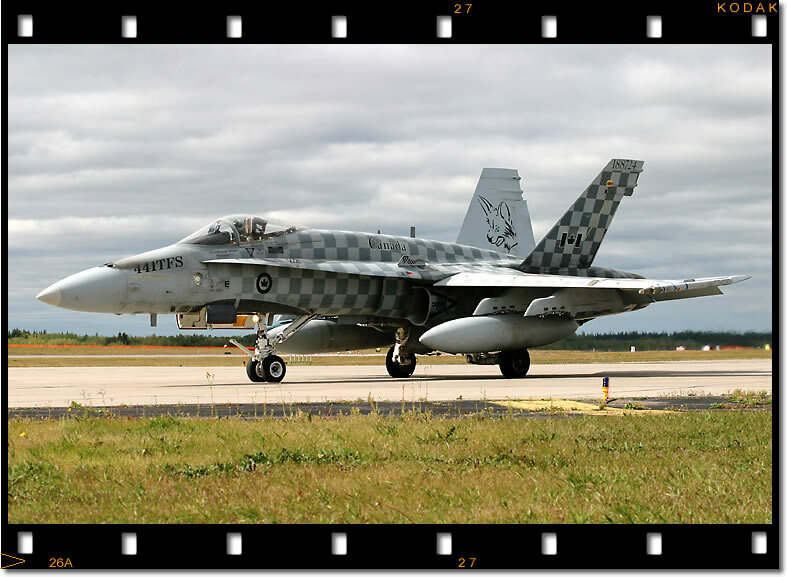 The whole wing has been participating and it has helped to have a big team behind us so that the little details are not forgotten.” Apart from the seven visiting units, Buca invited the other two resident Cold Lake Hornet squadrons to take part. 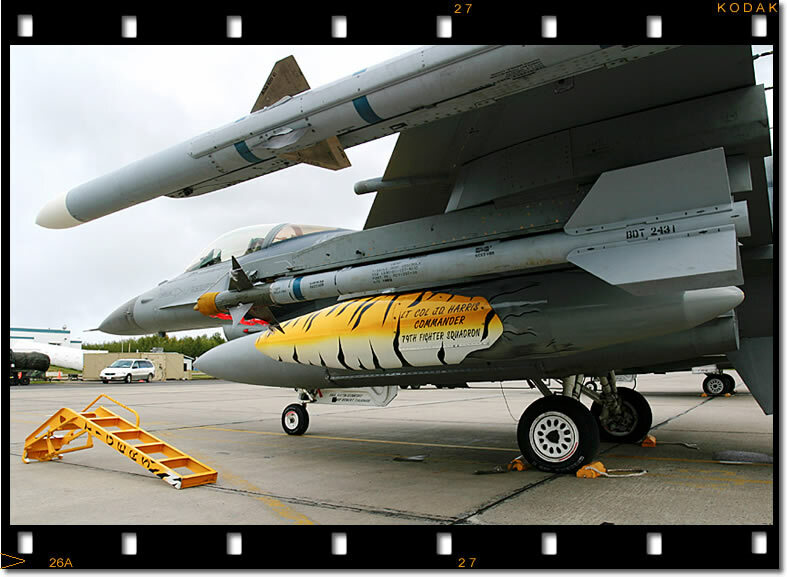 While 416 ‘Lynx’ Squadron already had a big cat association, 441 ‘Silver Fox’ Squadron was invited as a guest so the whole fighter wing would be involved. So on Friday September 12th a total of 287 personnel from 7 visiting units descended on a cold and rainy Cold Lake. A small open day was held on Saturday 13th for the local population to view the colourful tiger markings and learn a little about the TMOTA. That evening saw the first of the tiger games with a Karaoke session at the Junior Ranks Club. Sunday morning everyone gathered at the 4Wing theatre for the official welcome and a briefing for the three days of the Large Force Employment (LFE) exercise. The theme for the next week being typically Canadian: “Skate hard but don’t tear your sweater”. Monday September 15th would see the first of three Large Force Employment (LFE) exercises over the vast Cold Lake Air Weapons Range (with the appropriate feline acronym of ‘CLAWR’!). The three Tiger Meet LFEs used resources from 4 Wing’s Air Force Tactical Training Centre (AFFTC), including the excellent rangeless Air Combat Maneuvering Instrumentation (ACMI) system, briefing/debriefing facilities, and offices. 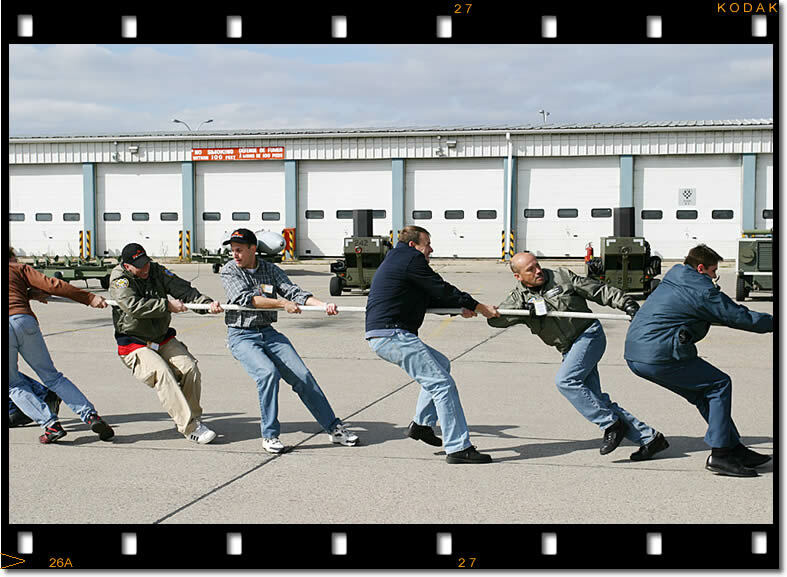 The dominance by the 140th Wing, Colorado ANG in the Tiger Games can be explained by the fact that, out of the 287 visiting military personnel, no less than 174 were from the Colorado ANG! In stark contrast to the large delegation from Colorado, the smallest Tiger team was comprised of just two members. 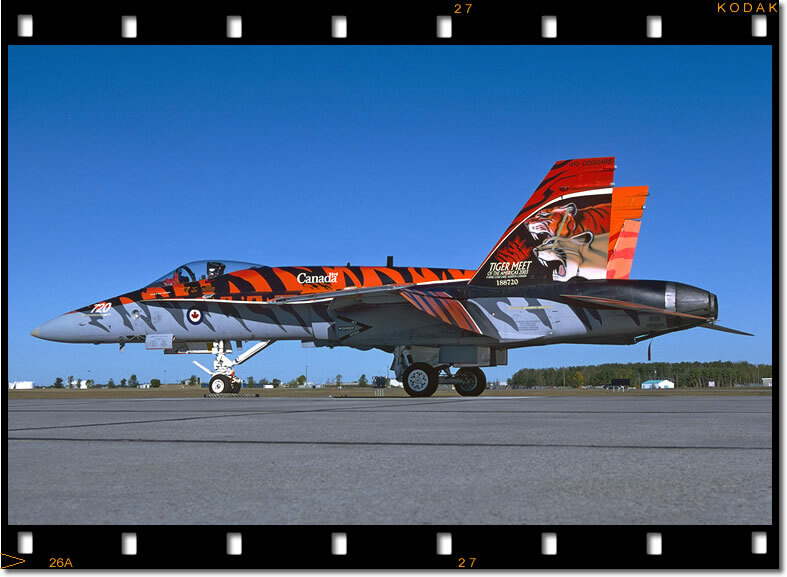 439 Combat Support Squadron is Canada’s only official Tiger squadron and is assigned to 3 Wing Bagotville, Quebec. 439 CSS Commander Major Joel Roy, and CplC. 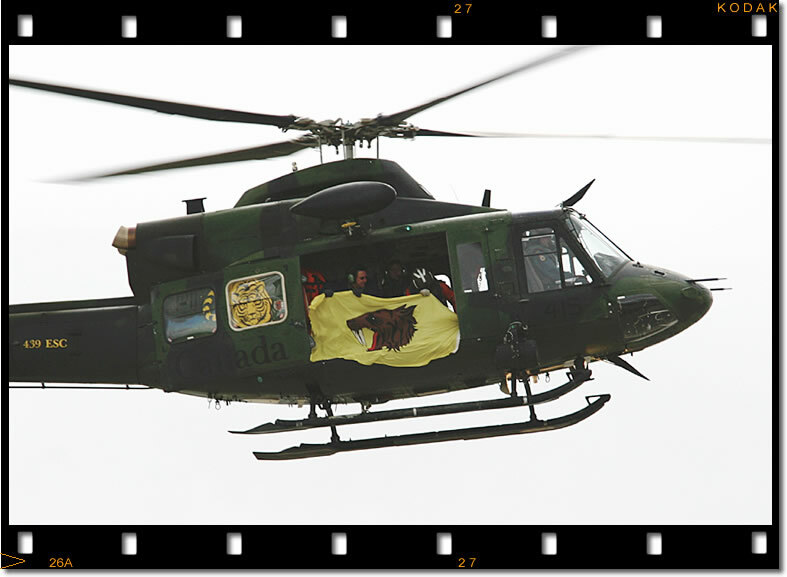 Rejean Martel, borrowed a CH-146 Griffon from 417 CSS based at Cold Lake and decorated it with a Tiger. 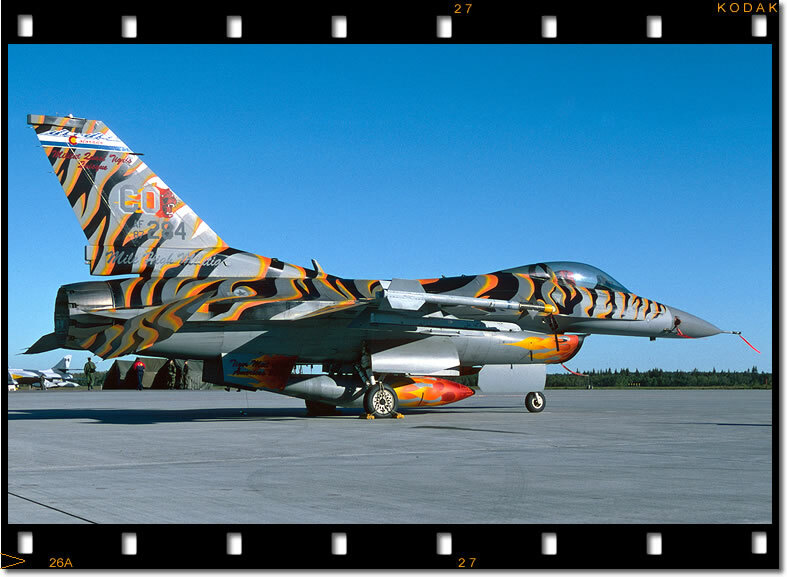 The TMOTA was 439 Squadron’s first Tiger Meet since the closure of CFB Baden-Sollingen and the Canadian Forces’ withdrawal from Europe in 1993. 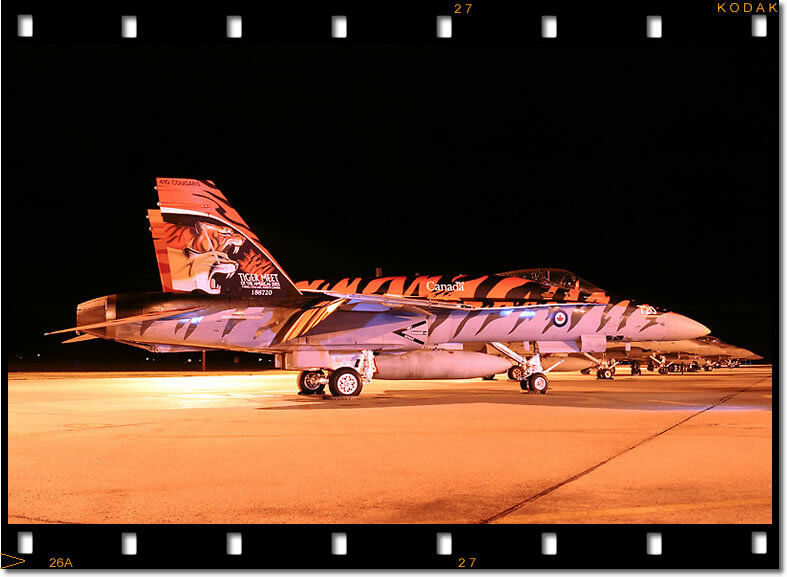 Maj. Roy saw it as a chance to renew the tradition, as he was a former CF-18 pilot who has attended a number of European Tiger Meets when based in Germany: "It was a pleasure to notice that the same spirit of camaraderie and professionalism lives on in the Tigers community on this side of the Atlantic." 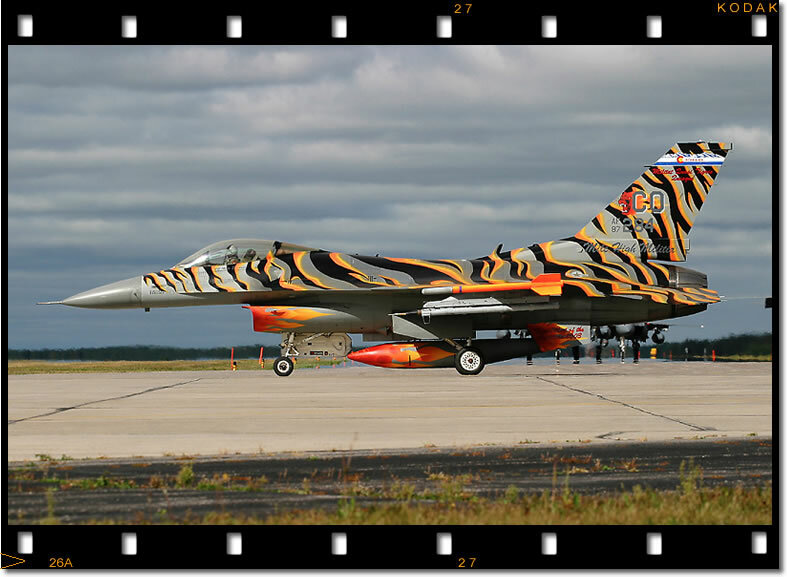 The 120th FS received the trophy for the best-painted Tiger Jet. Congratulations were given to the skills, efforts, and perseverance of those who made it happen. Special mention was also made of the Colorado Guards outstanding Tiger Spirit and contribution to the 2003 event. 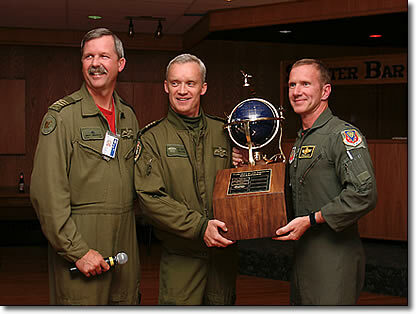 The Maintenance award went to the 79th FS out of Shaw Air Force Base. They launched 12 out of 12 jets during the week. The 120th FS came in a close second by launching 23 out of 24 jets. 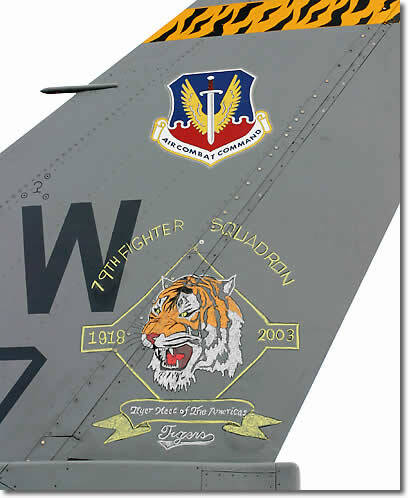 The vote for the Tiger Meet Of The Americas 2003 overall winning team went to the 391st Fighter Squadron ‘Bold Tigers’. They proudly take the TMOTA trophy back to Mountain Home AFB, Idaho. They have the honour of hosting TMOTA 2005 and will no doubt organize another outstanding event, helping the TMOTA tradition to further establish itself throughout the North American continent. The three Large Force Employment (LFE) missions were taken from the second week of the standard Maple Flag scenario – Blue Force is winning the war and has air superiority. 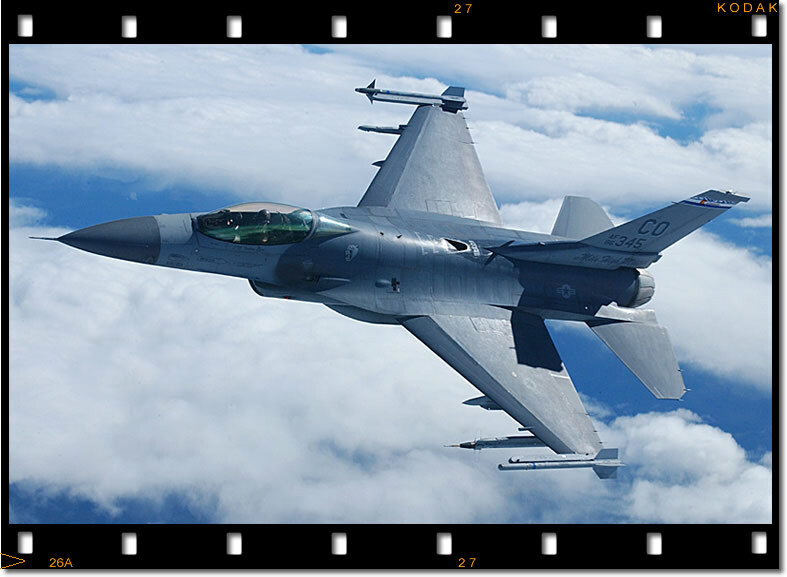 Each LFE would have three aircraft packages – offensive counter-air, strike, and Special Forces support – along with air-to-air refueling and AWACS cover. Whereby the Maple Flag planners would assign missions to units, the TMOTA planners at 410 Sqn, led by Capt. Rick ‘Slick’ Williams wanted to give the TMOTA units the freedom to choose the role they wanted to adopt so they could match participation to their individual training requirements. The Blue Force/Red Force split was typically 26 v 6. Visiting units and 410 TF(OT)S were Blue Force, with Special-Forces insertion carried out by 439 Squadron using the CH-146 Griffon. Red Force alternated daily with 441 TFS on Monday, 416 TFS on Tuesday, and 410 TF(OT)S on Wednesday. All the Red Force assets came from 4Wing for safety reasons, as they were already familiar with local operating procedures. A interesting addition to the Red Air assets were two civilian Hawker Hunters of the Northern Lights company who have a contract with the Canadian DoD to replace the recently withdrawn CT-33s in some support roles. Intel laid out the scenario whereby the range airspace was divided into the fictional countries of ‘Red Land, ‘Blue Land and ‘Grey Land’. Red Land has invaded Blue Land for its oil fields and the coalition forces would assist Blue Land in driving out Red Land. 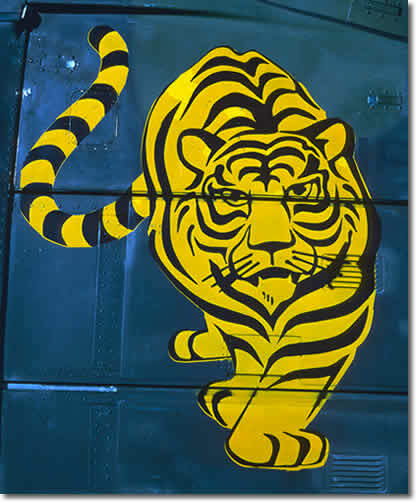 For the three LFE’s, Blue Land was supported by coalition “Tiger” forces. 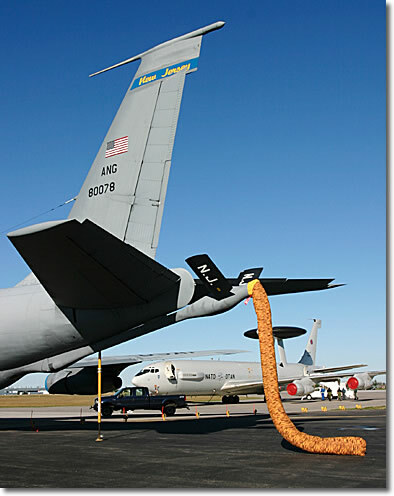 These included F-15Es, F-16s, CF-18s, a KC-135, an E-3A AWACS and a CH-146. 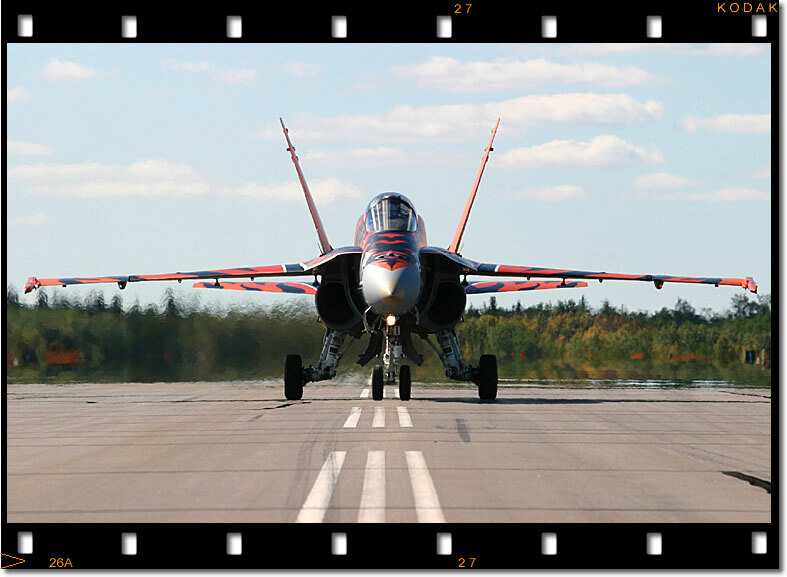 The Red Land Air Force consisted of CF-18s simulating Mig-29s and Mig-23s while the two Hawker Hunters of the Northern Lights Company simulated Mig-21s. The Maple Flag Range complex supported the Red Land ground based air defense system. 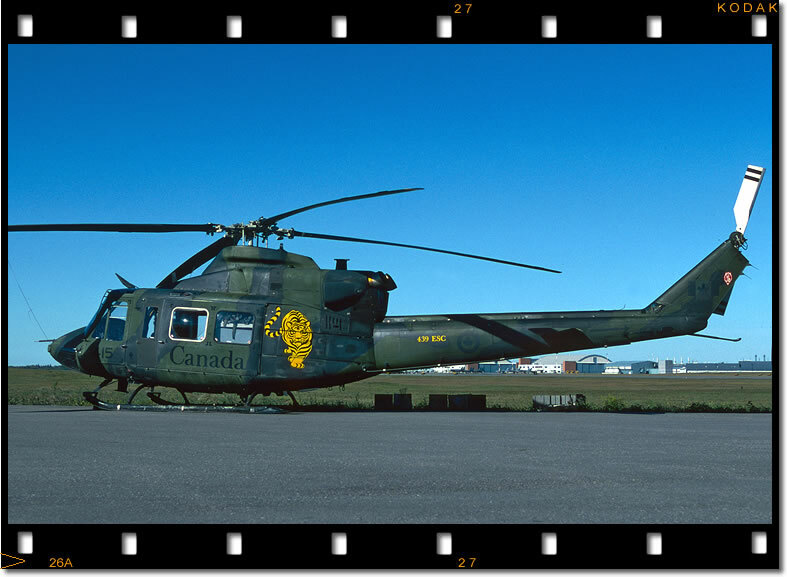 Top: 439 CSS decorated their 'borrowed' CH-146..hope they got it cleaned up before the owners returned!! 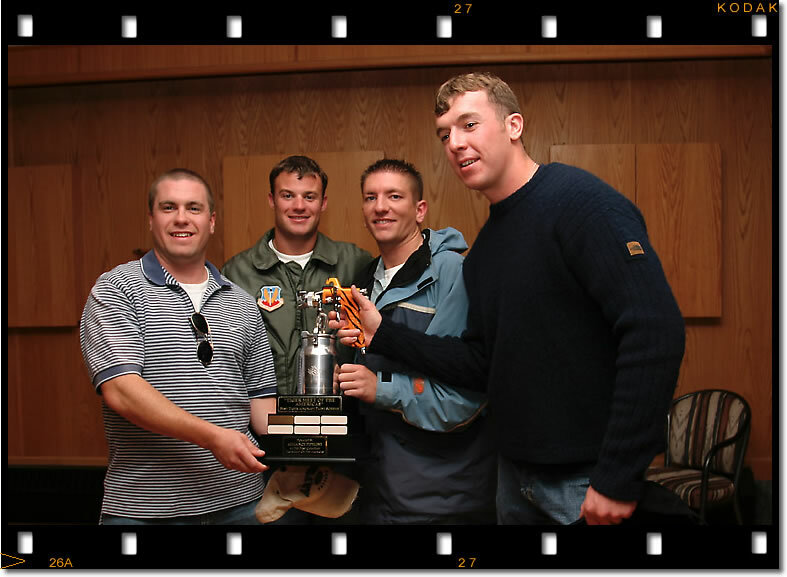 Bottom: "Roose" from the 391st Fighter Squadron receives the 2003 TMOTA trophy from 4 Wing Commander Col. Sullivan and 410TF(OT)S boss LCol. Anderson (far left). “ Every run you guys score is one K less gas you’re getting! 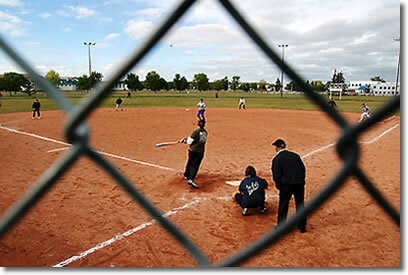 ” Pitcher from NJ-ANG, as his softball team was losing to CO-ANG. 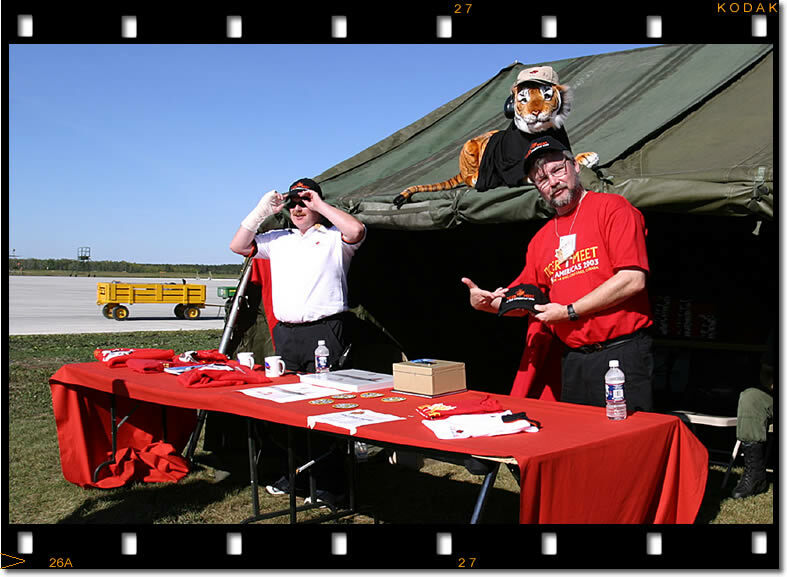 Sharpshooter would like to thank the following for their cooperation, hospitality and friendship during the Tiger Meet: Capt. James 'Buca' Kettles and all the Cold Lake folks who made the TMOTA happen, Kirk Webber, Capt. Richard Langlois (4Wing PAffO), SRA Carolyn Frankovich (120th PA), Mark Munzel, Gert Weckx and all the TMOTA teams, in particular Lobo, Hak and Max for the interviews. Following the three LFE exercise days, Thursday 18th was set aside for concluding the Tiger Games and an evening BBQ with Buffalo on the menu then final wrap-up speeches and prize giving. 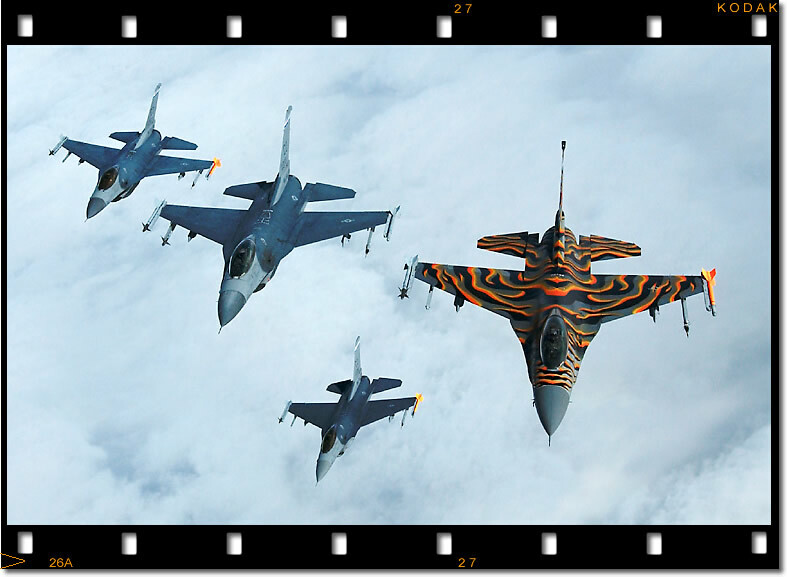 A Viper driver gives us the customary 79th Fighter Squadron 'Tigers Claw' signal as he joins a gaggle of 4Wing Hornets on the final mission of the 2003 Tiger Meet Of The Americas.